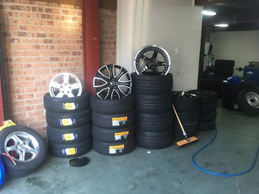 ADC auto repair performs a wide range of vehicle maintenance including tyre and wheel service. Our certified automotive technicians will perform all services to meet or exceed our client’s expectations. And we guarantee that we use parts which are recommended by the manufacture of your vehicle. ADC auto technicians will conduct a full inspect including brakes, steering, alignment and suspension and give you a full report. When you release the steering wheel, if it does not drive straight, you need to check the alignment of the wheel. ADC auto repair technicians recommend that you should do a wheel alignment every 30,000km. And it will help you to save money on fuel, reduce needs of premature new tyre and give you safety on the road. Tyres play a huge roll in your vehicle and its suspension system; they are in control for transporting the force of driving, steering and braking to the road surface. Even though vehicle tyre can be easily maintained, they can be overlooked more often. The air pressure and the design in vehicle’s tyre can effect performance of your vehicle, durability of tyre treads, and comfort ride. Tyre maintaining is very important to increase the mileage and reduce the tread wear. Our automotive staff will happy to help you to understand the tyre rotation, balance as well as the alignment of the vehicle. And will give you the basic knowledge of tyre care and maintenance. Not only that but also ADC auto repair technicians will guide you with understanding tyre sidewall markings, advice the best time to buy a new set of tyre and will show the way to choose correct set of tyres for your vehicle. Improper tyre rotation and poor tyre inflation could cause premature tyre wear. However, even proper inflated tire tend to have longer durability sidewalls and poor inflation tyres will show flexible sidewalls which easily wear. And over inflation tyres will lead to excessive centre tread wear. One of the common reasons for alignment issue can be poor inflation and worn tyres. Therefore, it is very important to follow the recommended inflation standards according to the manufacture. That is why ADC auto repair service is so popular in Birmingham area. Our well trained staffs are making sure to follow standards during a new tyre installation. ADC auto repair as a leading auto repair service company in Birmingham, we are focusing on excellent customer service and quality work. Our well trained staffs are specializing in any kinds of vehicles. Our break repair service is available at competitive prices in Birmingham. We are proud to say that our service one of the leading company serving customers with respect and quality work in Birmingham area. You will receive superior break repair service from our highly qualified mechanics. They are capable of doing repairs and servicing a Variety of makes and models. If you are looking for a quality break repair for your vehicle do not look further than us. We are waiting to help you with pride. Breaks play an immensively important part of your vehicle and its safety. Breaking system contain brake pads, linings and rotors. When you press on the breaks it creates a friction which helps to stop the turning wheels. Eventually, this friction causes wear and tear of the brake pads. If you ignore this it will wrap the rotors causing metal to metal pressure. At this point it could be very expensive to repair the brake system. Before it get worse, bring your vehicle to ADC auto brake repair service in Birmingham. Most of the time you will hear a squealing sound when you apply the brake. This means your brake pads need to be replaced. On the other, hand if you notice any other followings, it could be a problem of your braking system. 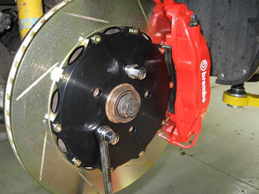 Our qualified alignment and brake technicians have experience dealing with both disc and drum brake. Whether you want a new brake pads, replace brake line or complete brake system replacement we guarantee that ADC auto brake repair team can work on it and get you and your vehicle back on the road safely. Therefore, do not hesitate to contact us or bring your vehicle to ADC auto repair service in Birmingham if you having any sort of problems with your vehicle braking system. ADC auto repair guarantee you will be back on the road with safety at an affordable price.